Rising textbook prices are forcing students to spend more of their financial aid on books, a research group reported. More than 5.2 million students use financial aid to purchase their textbooks, according to the report from OSPIRG Students, a nonprofit also known as the Oregon Student Public Interest Research Group Education Fund. For those who used financial aid, the amount of financial aid dollars they put toward purchasing textbooks was more than $275 on average per semester, totalling more than $1.5 billion in financial aid going toward textbooks each year nationally. The report, titled “Covering the Cost,” is based on a nationwide survey of nearly 5,000 students, including 508 from Oregon. Over the past decade, the price of college textbooks has soared, along with tuition, according to an OSPIRG news release. Since 2006, the cost of a college textbook increased by 73 percent, more than four times the rate of inflation. Today, individual textbooks often cost more than $200, sometimes as high as $400, according to the release. However, a solution that organizers said has the “potential to save students billions” already exists, according to the release. In direct contrast to traditional publishers, who strictly control every facet of access and use of their textbooks and materials, some open textbooks are available for free online, are free to download, and are affordable, according to the release. “I believe that high-quality course materials are essential, and I want to be sure that all my students have access to those materials,” said Leah Knelly, a professor at Lane Community College. 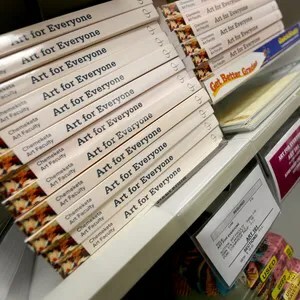 “It is clear that in too many cases, traditional publishers are setting prices that are too high for students to afford.